This plugin implements Interac online web re-director which offers you privacy and security. 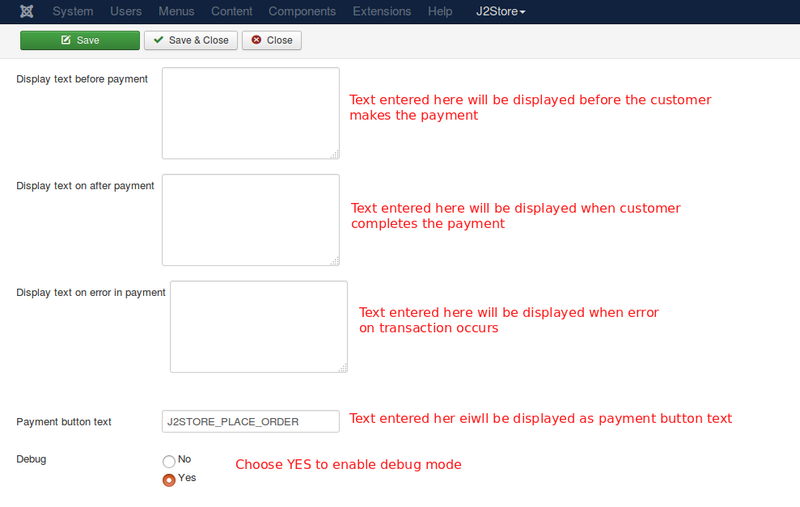 In the backend, go to J2store Dashboard Setup -> Payment methods and enable InterPay Web Redirect for J2Store plugin. Enter the Term ID associated with your InterPay live account. Enter the "pass" associated with your InterPay live account. InterPay payment offers you the sandbox feature. Before going live, you can test your store with this feature. Enter the Term ID associated with your InterPay test account. Enter the "Pass" associated with your InterPay test account. The text entered here will be displayed to the customer at the order summary screen before he makes the payment. You can enter a language constant as a value here if you are using a multi-lingual site and then write a language override.